The inherent worth and dignity of all life. Justice, equity, and compassion in all relations. 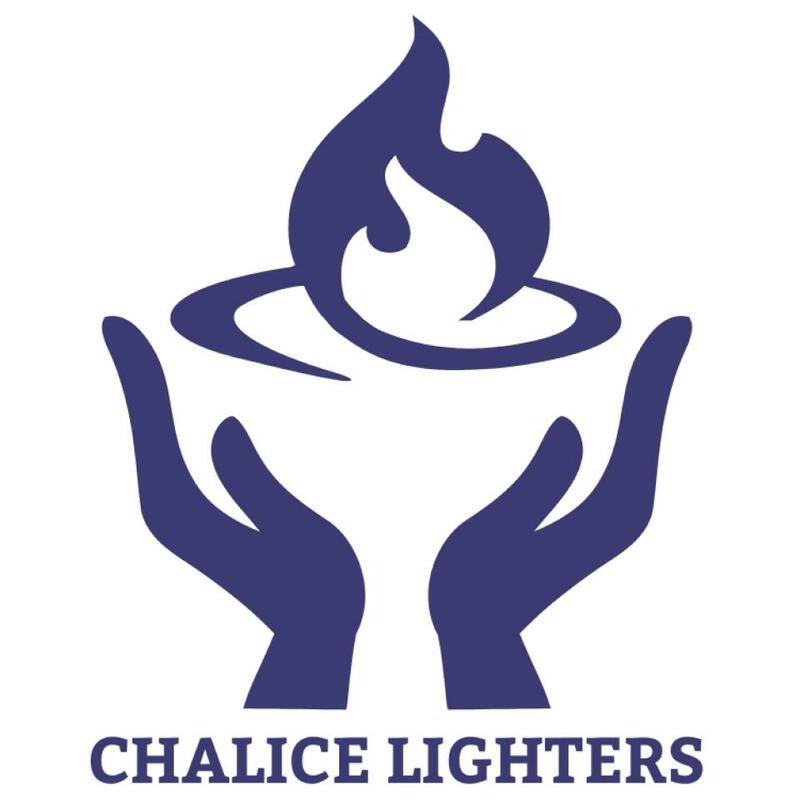 Turning these modified, paradigm shifting Unitarian Universalist principles and values into action in recognition of the pivotal point in history which we are at and that if service is our practice — with individuals and families, in partnership with other organizations, with commitment to our Mother Earth upon which we are dependent, we must act courageously and compassionately in response. The Social Environmental Justice Council (SEJC) strives to promote justice — moral principles guiding behavior based on truth, reason, fairness, and equity. We strive to un-silo issues in recognition of the need to address root causes. 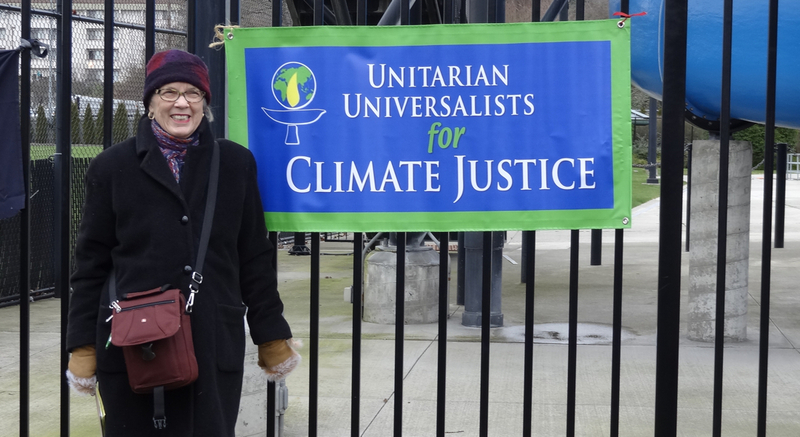 Our activities are consistent with the initiatives of the Unitarian Universalist Association (UUA). 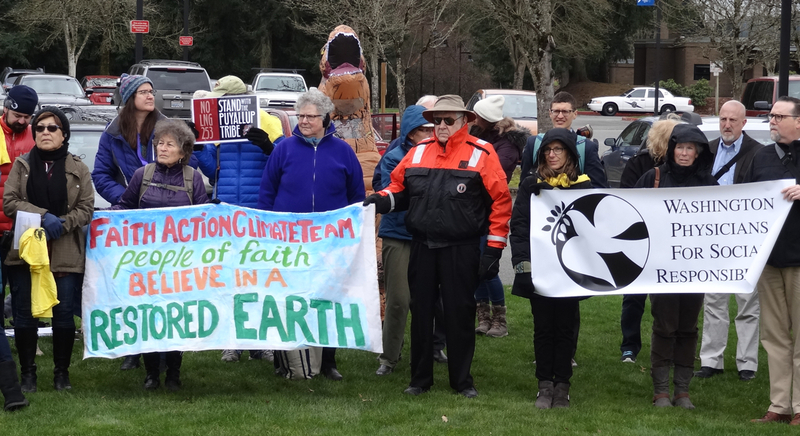 The Unitarian Universalist Service Committee (UUSC), Unitarian Universalist Ministry for Earth, UUA Create Climate Justice network, JUUstice Washington and UUA Statements of Conscience. 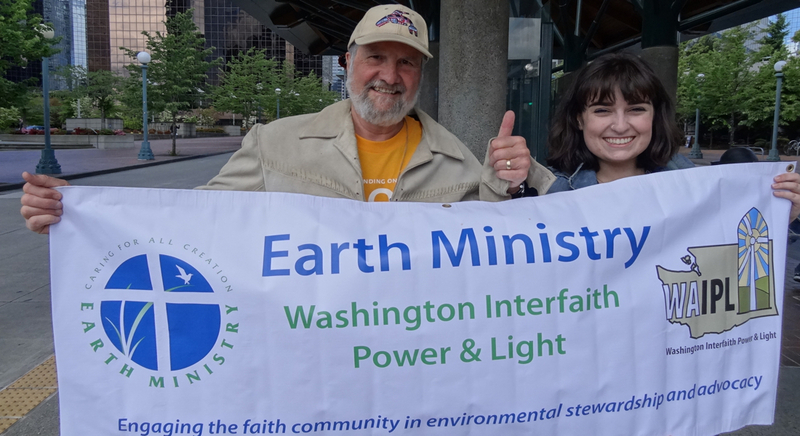 We also align with the Earth Charter and the Indigenous Environmental Network’s “Indigenous Principles of Just Transition and the Unitarian Universalist Ministry for Earth, a Unitarian Universalist religious response to raise awareness and mobilize action to address the crisis of climate change and the social justice issues it magnifies. We believe that social and environmental justice are deeply interrelated, impacting all, especially those with the fewest resources to cope with the escalating changes. Honor all life as sacred and interrelated. Respond to emergency or crisis needs as they occur. We are UUCWI members and friends working within our congregation and partnering with other organizations — state, regional and local — to meet these commitments. We believe that social and environmental justice is about heart and mind, listening and advocacy, compassionate learning and individual and collective action. In recognition of the broader role the SEJC took on when it evolved from the Social Justice Committee, the Council sponsors a monthly information and advocacy series it calls Moral Ground: Ethics and Actions in Perilous Times. The title was inspired by the book Moral Ground: Ethics and Actions for a Planet in Peril by Kathleen Dean Moore. The series attempts to inform, inspire and connect attendees with social/environmental justice activists while providing opportunities to participate. Check our UUCWI calendar of events for exact date, time and topics of upcoming programs. SEJC organizes demonstrations & marches, testifies at hearings, lobbies legislators, and routinely submits critical, timely information and actionable items to UUCWI members via the UUCWI’s weekly e-news and quarterly newsletter and other means (announcements, flyers, etc.). Our efforts have led to UUCWI/SEJC being recognized as a local leader, especially on issues of intersectional justice. Our UUCWI Justice Awareness and Advocacy group (JAA) evolved from book study groups focused on racism, white privilege and the unfair practices in the criminal justice system. JAA now sponsors workshops and promotes activities that raise awareness of the role racism and white privilege play in creating & sustaining unfair practices in the criminal justice system and elsewhere in our society. JAA also monitors legislative measures relating to criminal justice reform, connects with elected officials locally that are involved with the criminal justice system and is working towards collaboration with other groups and individuals addressing the same issues. To learn more about this group and find out how you can participate in these efforts, check out the Justice Awareness & Advocacy (JAA) web page. 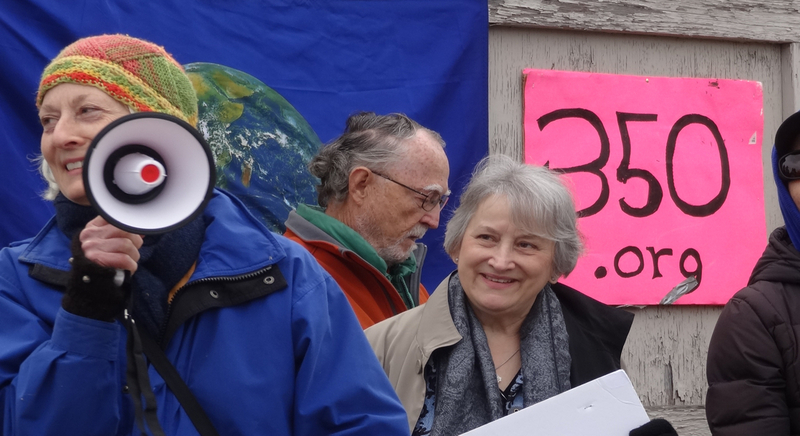 In our local community, we address issues that we feel closest to here on Whidbey — primarily racial, environmental, economic, generational and gender justice. To learn about our local social action activities and how YOU can get involved, see our Local Action page. 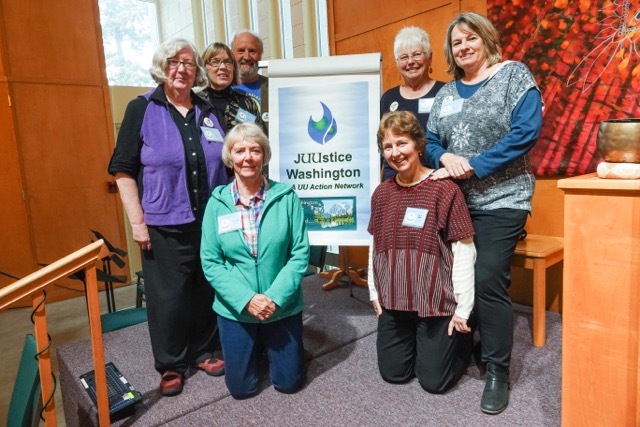 Examples of organizations we collaborate/ partner with include: Greening Congregations Coalition of Whidbey Island, Faith Action Network, UU Ministry for the Earth, Interfaith Power & Light, JUUstice Washington, Lummi Nation, PFLAG, 350.org, Indigenous Environmental Network, Whidbey Institute, Whidbey Environmental Action Network. You’ll find a complete list here . For us this is sacred work. We invite you to join us. It is easy to become active in the work of SEJC, JAA or UUCWI’s local action groups. Attend one of our educational/advocacy programs or other events. And do give generously when the donation basket is passed once a month at Sunday service for to support of organizations doing important social/environmental justice work. We meet once a month for planning purposes. Contact the UUCWI Administrator at admin@uucwi.org or call 360-321-8656 for more information. “In these times, those who work for equality, justice, peace, and sustainability seem to face a daunting task. However, a great history of social movements began with visions when change seemed equally impossible. … Anchor [your] collective visioning in the possibilities that exist in [your] own local communities. Current realities we know exist can provide the spark of inspiration for imagining more widespread shifts on the societal level.” –Spirit in Action: Facilitating Circles of Change Curriculum Guide 2005, Spirit in Action, Inc.